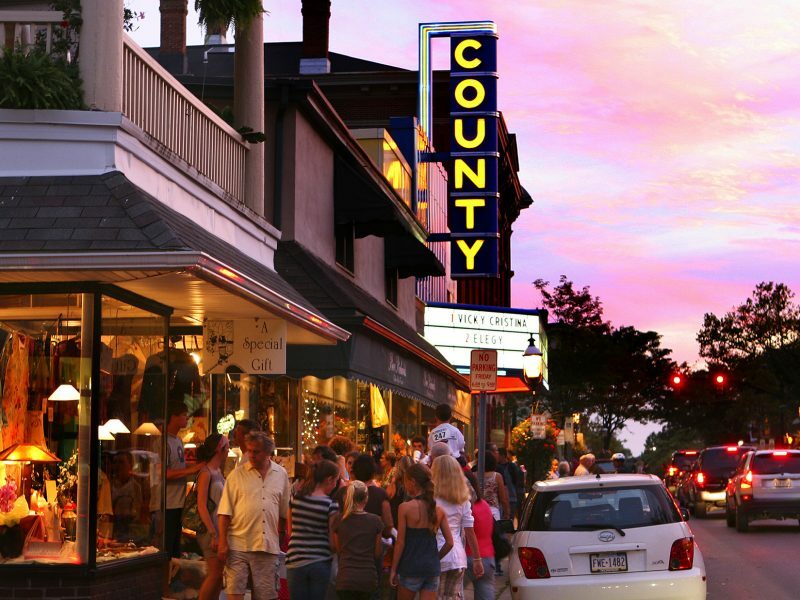 The buzzing county seat of Doylestown, Pennsylvania is always full of local fun for you and your family/friends to enjoy! Well known for its lively downtown, this gem of a town is located right outside of the traditional zone for the Delaware River Towns, but we can make an exception. There’s just so much to do in this area; it’s hard to leave out! Whether you’re taking a stroll downtown and taking in the quaint shops or heading to a top-ranked restaurant, Doylestown has a little bit of everything. Central Bucks County where this charming town is located is well known for its beautiful scenery. Views of the Delaware River may be scarce but trust me; you’ll find other landmarks to enjoy. Take a trip inside the Fonthill Castle and get an authentic feel for Pennsylvania history. Or go for a more intimate experience and travel along the rows of purple at the Peace Valley Lavender Farm. True, this is a bit of a stretch of the Delaware River Towns Local concerning geography. What Doyesltown lacks in river views is made up for in events. Take a look for yourself on our event calendar! Darcy Lodge No. 37 F.&.A.M. We are putting together another pop-up experience. From April 11th until May 19th, our underground bars fitted with stone walls and Iron gates, will be transformed into a medieval underground realm complete with a Throne, signature cocktail menu, a feast for kings, and a queens Banquet. Stay tuned for more details. During the six week pop up bar you will get to enter for a chance to win The Throne. Winners will be announced May 19th before the Season Finale of Game Of Thrones. Siren Records + independent record stores around the world welcome you to celebrate vinyl during the 12th annual Record Store Day 2019..! What releases are you most excited about? Comment below! We expect to have many of the major titles released for April 13th. NOTE: All releases are super limited. Quantities cannot be guaranteed. All titles are sold on first come, first served basis. Limit one copy per title per person. Ages 7 and up, beginners and up. All fabrics, patterns and notions provided, bring your own machine or use ours. Students work on projects of their choice and are first given a lesson on sewing machine basics if needed. $40, message with questions or to register.